Looking for a kid-friendly, grab-and-go snack that’s a little more nutritious than goldfish crackers? Even friends who aren’t Paleo will appreciate these sweet, cinnamon-dusted apple rounds, and they’re easy on the parents too, with a very simple recipe and no fancy ingredients. 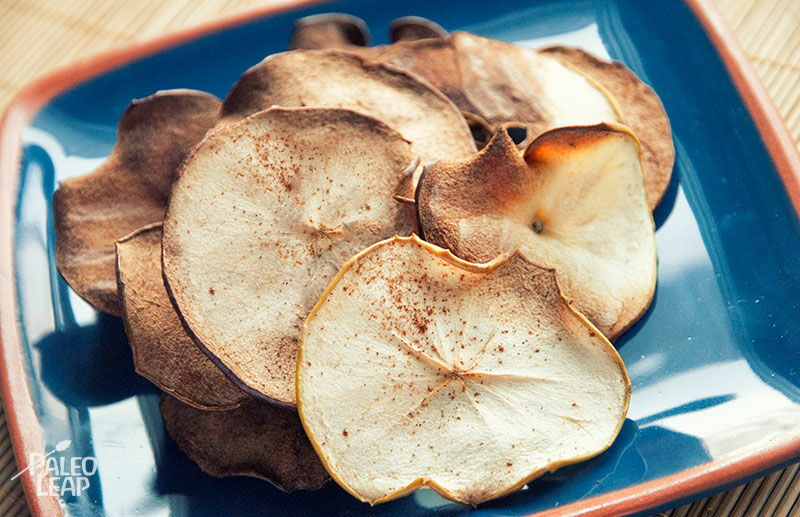 It doesn’t even take a dehydrator (although of course you could use one if you wanted to); all you need is an ordinary oven, apples, and cinnamon. Any kind of apples can be used for this recipe: pick your favorite variety, or just use whatever you can find in season. If you want perfectly even apple slices, you can use a mandolin to cut them (this also saves some time), but they’ll turn out just as delicious if they’re a little rough around the edges. But make sure to slice them thin: this avoids the flavorless leathery texture you might remember from grocery-store chips. These chips won’t remind you of stale, apple-flavored chewing gum: they’re tart on the inside, crispy on the outside, and packed with the concentrated flavor of the fresh fruit. You may find that the apple chips disappear as fast as they come out of the oven – but if you do have any left over, store them in an airtight container so they don’t get soggy. Then you’ll have a ready-made stash of snacks to sweeten up a lunchbox or throw in a baggie for the road. SERVES: 4 PREP: 5 min. COOK: 1.5-2 hrs. 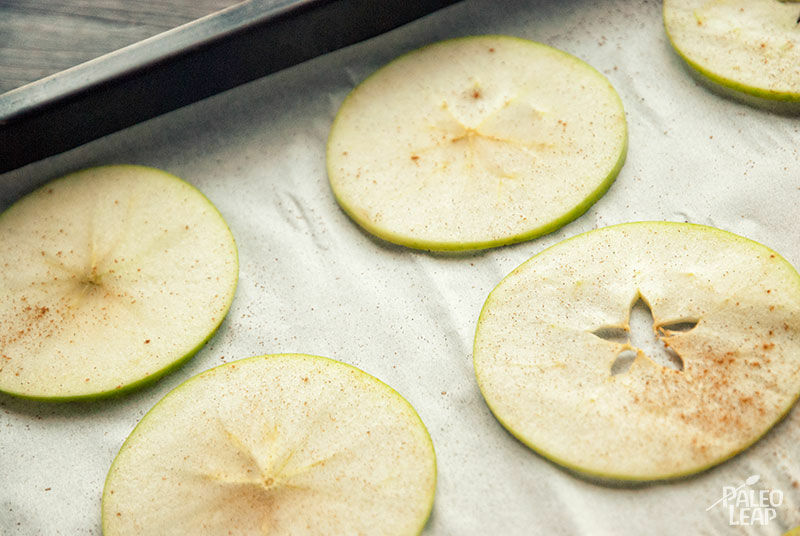 Preheat your oven to 220 F.
Spread the apple slices on the baking sheets, making sure you have no overlapping edges (if they overlap, they’ll stick to each other and they won’t dry properly). Sprinkle some cinnamon on top and place in the oven. Place in the oven to dry for 1 hour; then flip the slices and cook for another hour. Let the chips cool down and serve.